It’s the first day of summer in Shoreline! Even with the overcasts and mild weather, our summer spirits are kicked into gear now that school’s out and the daylight hours have extended. 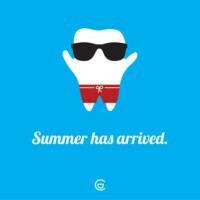 Here are some tips from our staff at Shoreline Dental to make sure your smile is summertime fine! Parties, barbeques, summer vacation — whatever the reason you’re staying up later, don’t forget to take care of your teeth in the evening. 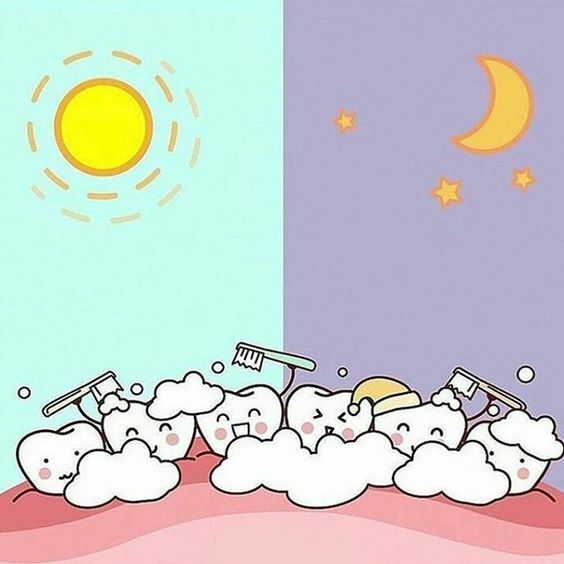 Often times we find ourselves staying up much later during the summertime than we do during the rest of year and if we’re pushing past the AM, we may skip out on the bedtime oral hygiene. 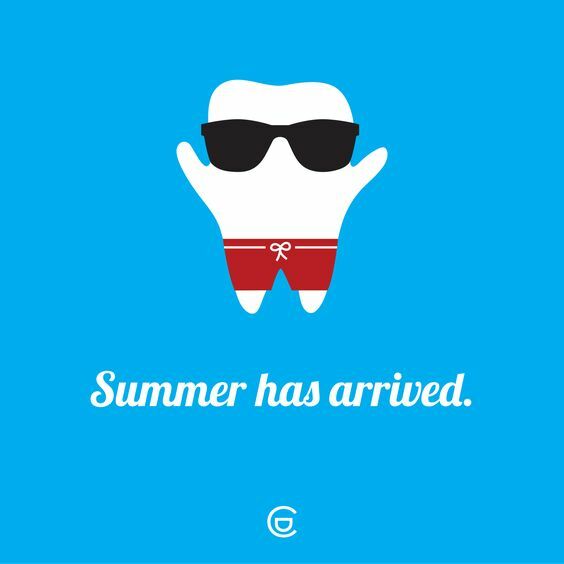 Don’t let the summer nights compromise your oral health. Brush your teeth before bed! PROTIP— BRUSH A FEW HOURS BEFORE BED. If you’re guilty of staying up late and aren’t occupied at a social gathering, choose an earlier time to brush and floss your teeth (of course, after you’ve finished eating and drinking for the day). We asked one of our teammates, Sophia, who sleeps around midnight during a normal workweek, what her night time oral hygiene routine was like. Around 10 or 11PM, she’ll floss, brush, use mouth wash, and put in her retainers to leave her about 1-2 hours of R&R downtime before bed. In case she stays up too late or is too lazy later on, her teeth are already ready to hit the hay whenever she is! Longer daylight hours and warmer weather are the perfect conditions for a social gathering. Whether you’re grilling, having bonfires or camping, the summer foods and drinks that come to mind share similarities. We asked our team member, Katie, what comes to mind when she hears summer foods to which she responded, “watermelon, burgers, lemonade, and corn. I love corn!” We also asked our dental assistants, Christina and Sandy, their opinions and received the same responses in addition to hot dogs, popsicles, potato chips, potato salad, and iced tea. It’s no surprise that we may have a slightly different diet during summer than we do during the rest of the year and we’re eating these foods at a higher frequency. BBQ diets are high in starches and sugars which make your teeth more susceptible to decay (especially if we’re skipping brushing our teeth in the evening!). High temperatures also welcome cold drinks, ice cream, and fresh fruits . Know what you’re eating and be proactive in keeping your teeth clean! And a warm PSA from our office to you, be careful of chewing on anything containing pits and refrain from chewing on ice. We’ve seen cracked teeth as a result and would like to help you save a coin or two. If you’re due for a cleaning, summer is the perfect time to do it! It’s important to get your regular 6 month dental checkup so that Dr. Co can ensure everything is healthy in the mouth and Becca can clean off any existing plaque and/or tartar that toothbrushes are unable to take off at home. Our office also has air conditioning to beat the upcoming summer heat and we’ll get your smile ready for all your future summer activities in just an hour! Give us a call at 206.440.0065 to schedule your next dental cleaning with your favorite smile team at Shoreline Dental.